Metal roofs have been around for a long time. However, modern rubber roofs are a fairly new invention. Both are up-and-coming roofing materials for residential homes, thanks to their excellent durability and eco-friendliness. But what’s the difference between the two? Is one better than the other for homes in the Pacific Northwest? In this post, we’ll go over the differences between the two popular roofing materials, covering the material they’re made from, their aesthetics, and their energy efficiency. The most obvious difference between rubber roofs and metal roofs is the material. Both are constructed from recycled materials and can also be recycled once they’ve reached their lifespan, making them green options from beginning to end. Rubber roofs, unlike metal roofs, are a fairly new technology. The rubber roofs we offer at State Roofing—Euroshake and Euroslate—are both made from about 95% recycled material. This particular roofing material was developed with the goal of reducing the number of used tires that end up in landfills. To be exact, the U.S. generated around 246 million used tires in 2015 alone. 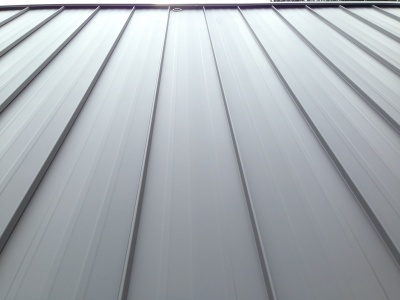 Standing seam metal roofing: Includes 24- and 26-gauge G-90 galvanized steel construction, making this 50% stronger than the industry standard. 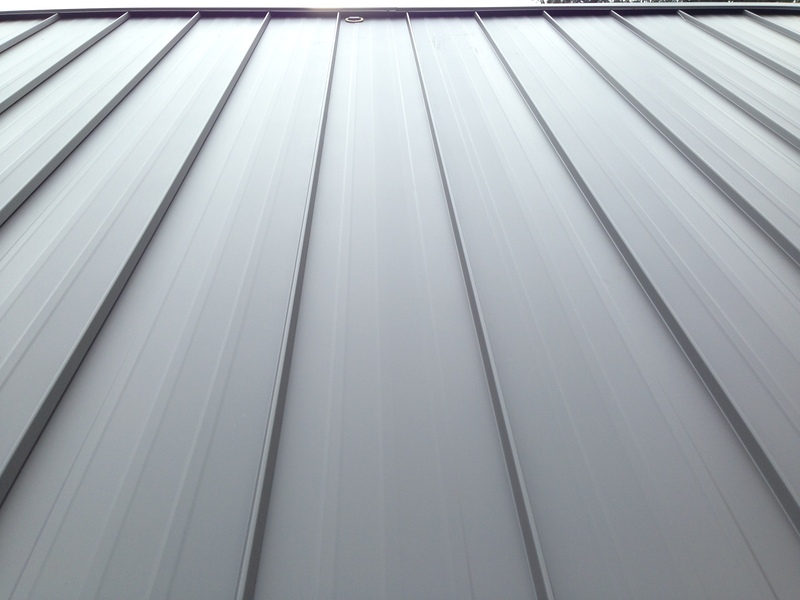 Ironwood metal roofing: Includes 30-gauge G-90 galvanized steel construction, making this 50% stronger than the industry standard. Metal shake roofing: Includes 26-gauge G-90 galvanized steel construction, making this 50% stronger than the industry standard. Also available in 16-oz pure copper. In this particular debate, there is no roofing material that is better than the other. Just because rubber roofs haven’t been around for as long as metal roofs, it doesn’t make rubber roofs inferior. It all comes down to personal preference. Your roof is your home’s frontline against the weather, so making sure it’s intact is top priority to keeping your home safe and dry. In this case, not all roofing material is created equal when it comes to durability. For example, the ever-so-popular asphalt shingles, while very cost-effective, will only last approximately 25 years. Along with their shorter lifespan, they’re susceptible to mold and algae due to their porous nature that absorbs water. Your home’s roof not only has to be durable, but it also has to look good. Traditional metal roofs all had a similar look, but nowadays there are a variety of looks to suit your needs—there are even options that replicate the look of traditional shake and shingles such as ironwood metal roofs and metal shakes. Rubber roofs also offer great aesthetic choices. Rubber roofs are designed to replicate traditional shakes and shingles, and they also come in a variety of colors to match your home’s look. 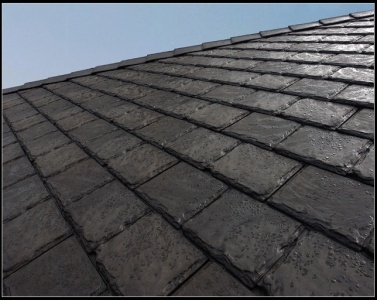 For example, from afar, the Euroslate could easily be mistaken for a traditional slate roof because it was designed to perfectly mimic the chiseled-edge slate. Last but certainly not least is the difference in energy efficiency. 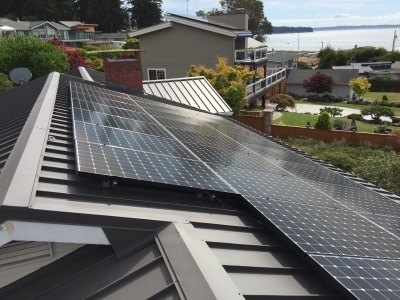 Both roofing materials are energy efficient in their own way. Rubber roofs are exceptional when it comes to insulation, so you’ll be saving extra money during the cooler months. On the other hand, metal roofs have the ability to reflect solar radiation instead of absorbing heat. This means you could save up to 40% on air-conditioning costs during the warmer months. Rubber roofs and metal roofs are both up-and-coming in the residential roofing world. The biggest differences between these two roofing materials is the material they’re made from. Rubber roofs are great for insulating a home, whereas metal roofs can help decrease utility costs during the warmer months. 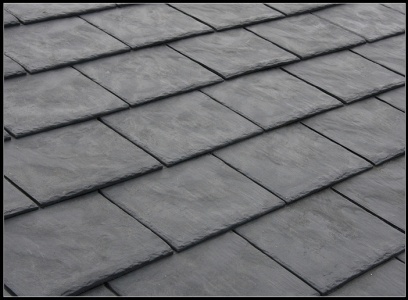 Both roofing materials are extremely durable, being virtually maintenance-free and immune from algae and mold. 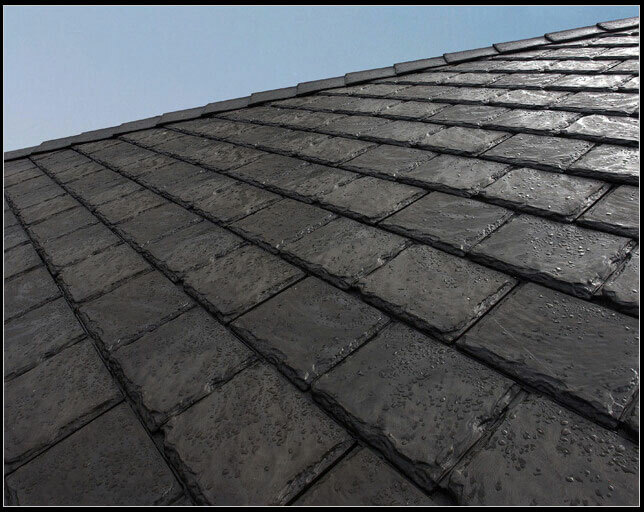 Not only that, both materials also perfectly replicate the look of traditional shakes and shingles but without the high-maintenance hassle. Considering all of these factors, there is no one better roofing option when it comes to metal and rubber roofs. Want to learn more about rubber roofs or metal roofs? Give us a call at (360) 205-3100 or fill out our contact form for further inquiries or to request a free estimate in Seattle, Tacoma, Olympia, Bellevue, Snohomish, Sammamish, or any surrounding areas.